Mark Reynolds can still crank big ol' dingers. It’s been a pretty great 24 hours for Mark Reynolds, a player nobody wanted over the offseason. 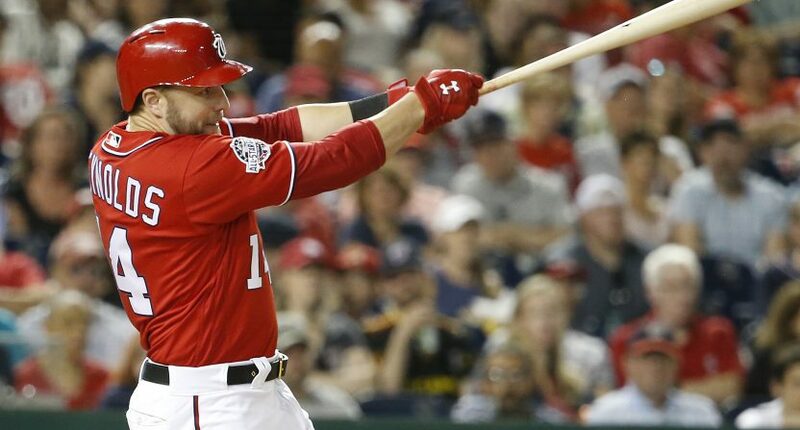 The 34-year-old slugger signed a minor league contract with the Washington Nationals in April, and it’s proven to be a hugely important deal for the Nats. And he really took things to another level on Saturday night in the Nats’ 18-4 walloping of Miami. Reynolds went 5-for-5, with two homers… and 10 RBI. Yes, 10 RBI. Reynolds now has 10 homers and a .292/.358/.594 in 120 plate appearances for Washington. After stunningly falling under .500, the Nats have won three straight games to get to 45-43, and that’s largely due to the surprising efforts of Reynolds.